iOS 10 is one of the biggest upgrades Apple has made to their mobile operating system. If you’re overwhelmed by all the new and upgraded features in iOS 10 you’re certainly not alone–but have no fear, we’ve been playing with it for months, and we’re happy to highlight all the really great features you should be using right now. Let’s start with the first thing you’ll bump into after updating: the new lock screen. When Apple introduced the iPhone and its clever swipe-to-unlock mechanism in 2007, the world was pretty impressed. Now, nearly ten years later, they’re so over swiping to unlock. Now, you use the Home button to unlock your phone (though if you preferred the way Touch ID worked in iOS 9, we’ve got you covered). You can still swipe left and right on the lock screen, but instead of unlocking, you’ll find a couple new features. In iOS 9, you could access your camera by swiping up from the lower right corner of the screen (a maneuver that was a wee bit frustrating since it was easy to miss and open the Control Center instead). Now, you swipe left with one big unmistakable motion to open up the camera. It took us a day or so to get used to this tiny-on-paper but huge-in-real-life improvement. That’s nothing compared to the biggest lock screen change, though: widgets. Now, if you swipe right in that old familiar unlock-the-phone motion, you’ll bring up a whole panel of app widgets, similar to the ones in iOS 9’s notification panel. At a glance, you can see the current weather, your to-do list, or any number of items. Never paid much attention to the widgets? Now would be the time to start. 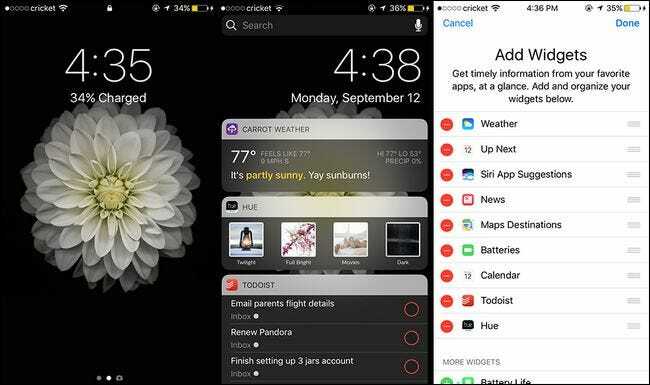 App widgets are more useful than ever in iOS 10, and we’ve got a handy tutorial to help you customize which widgets appear on your lock screen. 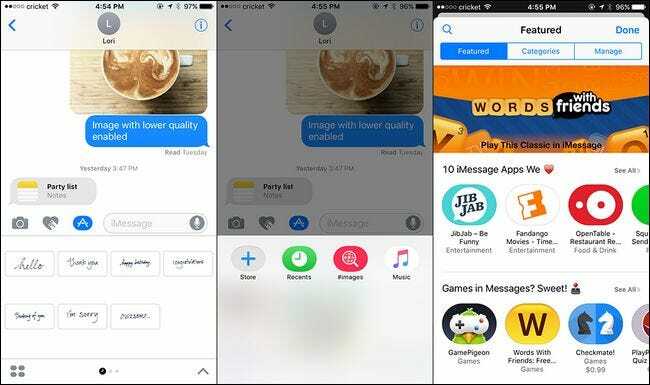 Of any single app, iMessage got the biggest overhaul. What used to be a relatively spartan application is now a veritable Swiss Army knife of superficial and practical additions. What was once an enhanced version of text messaging is now a full out communication app loaded with bells and whistles. 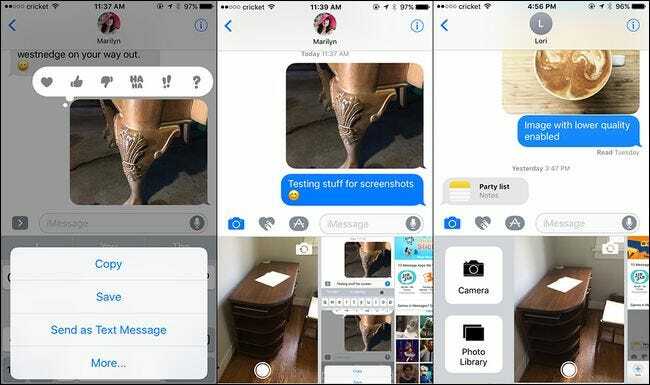 In short: move over Snapchat, here comes iMessage. One of the first changes that, literally, pops out at you the first time you use it is the change the emojis. If you send a message that consists only of one to three emojis, they will show up three times larger. It doesn’t stop there, either. 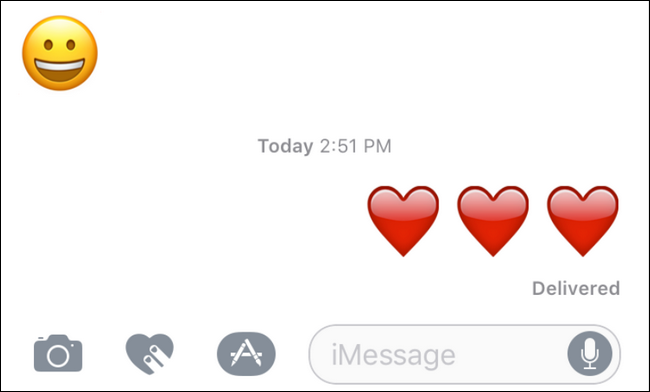 iMessage now includes the ability to slap stickers on your messages, when emojis just won’t do. You can also doodle on the photos you send, send doodles and sketches (much like Apple Watch users), and you can embed animated GIF files in your messages. Don’t worry if you don’t have GIFs handy, there’s a built-in GIF search engine for all your meme and kitten needs. Note the icons you use to access these new features in the screenshots above: the heart icon summons the doodle pad, the little App Store button gives you access to the image search (included by default) and the Mario stickers, also accessed via the App Store button, are a free add-on feature we’ll get to in a moment. If you threw up in your mouth a little at the Lisa Frank-esque idea of slapping stickers and GIFs all over your iMessages, don’t despair. There are also some really practical improvements in iMessage, like Invisible Ink. 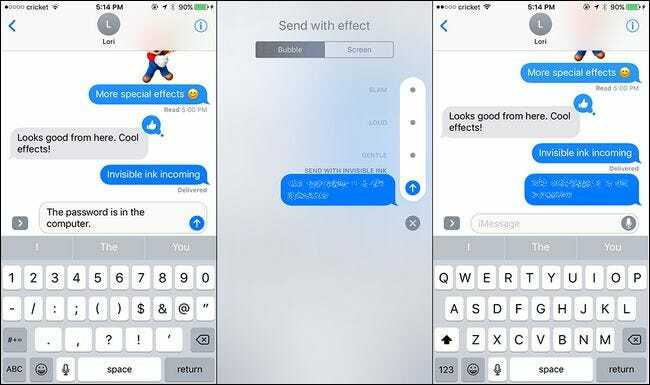 You can obscure a text message or photo by long pressing on the blue arrow icon in the text message box and then selecting “Send with invisible ink” from the pop-up menu. The message is blurred until your recipient taps on it, then after a moment it becomes obscured again. Finally, a way to send your secret Harry Potter cosplay photos with a modicum of privacy. 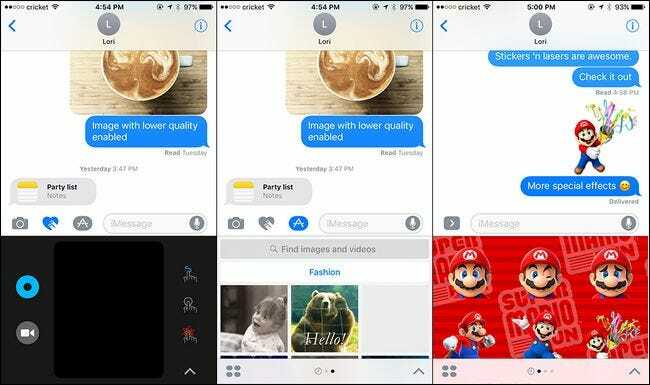 iMessage takes an almost Facebook-like approach to messages with the addition of tapbacks, a simple way to respond to a message. Just tap a message you’ve received and then attach a small icon to it like a thumbs up or a question mark–perfect for those times where all you would have typed was “OK” or “what?” in response. We’ll admit to being put off by it at first (as it seemed horribly lazy) but after using iOS 10 beta for some time, we’re actually fond of it. By far the most practical improvement to iMessage, however, is the camera functionality. Some features are gimmicky, like the ability to send a “live” photo from the iPhone 6S or better (which is really just a tiny video clip). But iMessage has also made vast improvements in capturing and sending photos. In iOS 9, when you wanted to take a new photo, like a selfie, it would kick you out of iMessage and into the actual camera app. Likewise, sending a photo you’d already taken would open up the Photos app and you’d scroll about looking for it. Now, however, it all happens right in iMessage, as seen above. Tap on the camera icon and you get a live preview (where you can snap photo right away and use it, without leaving iMessage) or you can swipe left and immediately scroll through your camera roll. It’s one of those fantastic improvements that makes you question why it wasn’t always that way. You can still access the full camera and photo roll (just swipe slightly right to reveal the icons next to the live photo preview) but the new speedy in-app camera function means you’ll hardly ever need to. Finally–and this is the single biggest change in the app yet–iMessage now has apps. You may have noticed that there is a little tiny App Store icon in your message bar. Tap it, and you’ll see the default Apple iMessage apps (like the handwriting app and the aforementioned images app where you can search for GIFs). Tape on the icon, which looks like four ovals, and you’ll load a little mini App Store filled with apps customized just for use in iMessage. Want to send a weather forecast right in iMessage to your friend? You can do that now. Play a game with them? You can do that too. Download custom stickers? Oh there’s plenty of sticker packs–just like the Super Mario one we showed off at the beginning of this section. It’s a brave new world for iMessage and that world is filled with apps, apps, and more apps. If you read through the last section and you couldn’t care less about stickers, sparkles, invisible ink, or apps in your iMessage, then you deserve the joy this next feature brings. We all deserve the joy this next feature brings. You can finally remove Apple’s built-in applications from your home screen. No more shoving all the apps you don’t use–like Stocks and Tips–into an “Apple Junk” folder. No more moving them to the last home screen panel to ignore them. You can finally banish them. Go ahead, just press and hold on one to delete it like you’d delete any other application and you can remove it from the home screen. There’s a catch, of course. They’re not actually deleted, they’re merely hidden. But we’re not about to look a gift horse in the mouth. Apple’s stock Maps app has been bad for a long time–truly, remarkably, awful. Don’t take our word for it though. Back in 2012, Apple CEO Tim Cook himself encouraged people to download Google Maps because Apple Maps was so bad. Fortunately, the iOS 10 version of Maps distances itself from the blunders of previous releases in a wonderful way. 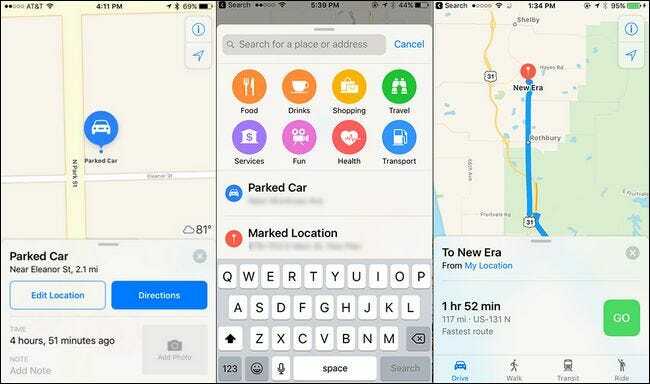 Not only is the new version of Maps simply more polished overall–it’s brighter and cleaner looking, you can zoom without fussing with using multitouch pinch, and the menus are easier to access and more numerous–but it includes a host of big improvements that make it an app you’ll actually want to use. Maps now remembers where you parked (with no input from you, at that). The search is also significantly improved. 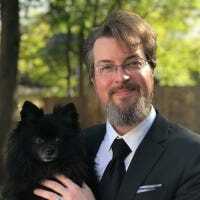 Although it still pulls from the Yelp database, the interface is new, and allows you to quickly drill down through categories to find exactly what you want. If you simply must have Dunkin’ Donuts brand coffee, for example, you can now search for brands–in this case you’d click on Drinks > Coffee Shops and if Dunkin’ Donuts wasn’t already in the list of results, you could pick it from the list of company names displayed along the banner at the bottom of the search panel. Most importantly, of course, the actual mapping and navigation is improved. It might not quite be at Waze levels of direction giving and on-the-fly ninja routing calculations, but it’s now a very solid navigation tool that most people can happily use without resorting to a third party solution. 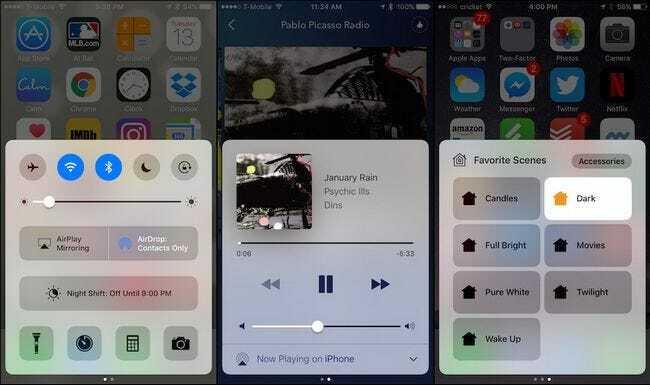 The Control Center was one of iOS’ biggest improvements in recent years, and iOS 10 has made it even better. In iOS 9, the music controls were tucked right in the first Control Center panel, between the two tiers of shortcut buttons. Now, the music controls are on their own panel just to the right of the main panel. If you loved everything in one place, you’ll dislike this change. If you longed for bigger space for your music controls, it’s a pretty sweet upgrade. In addition, there’s a perk for those smarthome early adopters out there: swipe all the way right and there’s a dedicated panel for your smart home accessories and scenes. Toggle individual devices and call up lighting or automation scenes right from the Control Panel with ease. For a closer look at everything new in the iOS 10 control panel, check out our detailed look at it here. The changes to the Camera app are subtle, but welcome. Like always, it has some general improvements (it loads faster, changing functions within the app seems much smoother, etc.) but there’s also some very concrete tweaks worth noting. First, that weird quirk in iOS 9 where opening the camera app would pause your music is gone (though the music will still pause during video recording). In addition, Apple moved the camera switch button (aka the selfie button) from the top of the camera interface to right down next to the camera button. That’s a tiny but very useful interface improvement–it was awkward and impractical to try and switch from the front-facing to back-facing camera with one hand before. If you’re a fan of the Live Photos feature, there are two new perks: you can apply photo filters and image stabilization to Live Photos. Finally, for the power users among us (and those who want to take advantage of the improved physical cameras in the iPhone 7 and 7 Plus), the Camera app can now record RAW photos–you get exactly what the camera sees, perfect for later retouching, without any filtering or jpeg compression applied. Bigger than the Camera tweaks, however, are the changes to the Photos app. 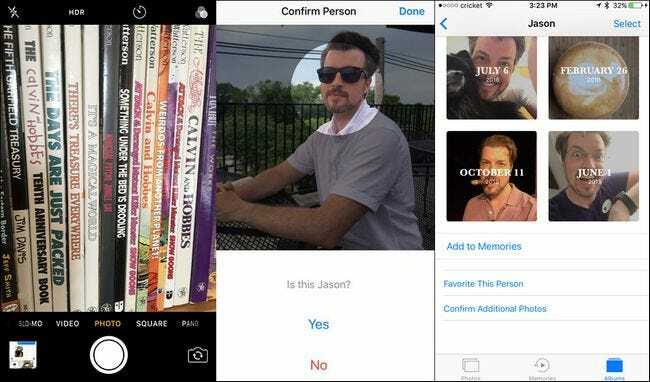 Now, instead of simply cataloging your photos by date (and possibly by album if you took the time to organize them), the Photos app can now recognize faces and organize your friends automatically into albums as well as automatically organize your photos in “Memories” that group similar photos around a given event like all the pictures you took over Labor Day weekend. Although the Health app isn’t new by any means, Apple’s clearly getting serious about people using it. The Health app not only sports a much simpler and easy-to-navigate interface, but it includes better focus on primary health areas: activity, mindfulness, nutrition, and sleep, as well as new categories to track like reproductive health. What used to be a very dense and not particularly user-friendly part of the iOS experience is now very easy to navigate and understand. Speaking of sleep, the iOS 10 clock got a tune-up. Now instead of simply setting an alarm for the morning, you can use the Bedtime feature that includes a host of handy tools. Bedtime will give you a reminder when it’s close to your bedtime (based on how many hours of sleep a night you’re trying to pack in) and it will try to wake you at an optimum time instead of simply blaring out an alarm at a fixed time. Better yet, all that data is fed over to the Health app so you can easily track your sleep over time and see how more sleep (or sleep deprivation) is affecting you. As we note in our detailed overview of the feature, it’s not the most sophisticated sleep tracking tool around at the moment but it’s a really nice improvement. As a final note on the Health app, it now prompts you to fill out emergency contact information and organ donor wishes (which are then shared with a non-profit registry of organ donors). 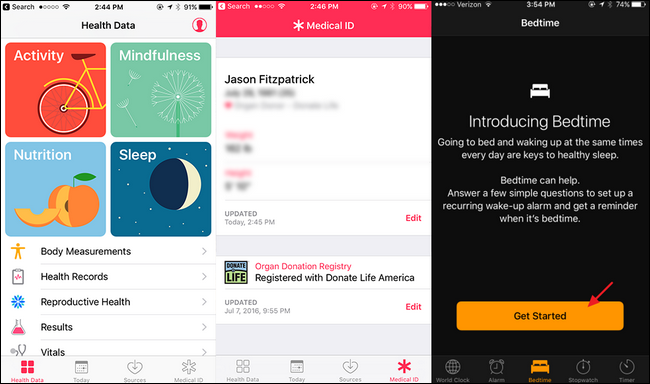 Lots of people think about signing up for organ donation but never get around to it–now the Health app makes it trivially easy to do so. Found a new iOS 10 feature you love but that we didn’t mention here? Hop over to the discussion on our forums and share your iOS 10 discovery with the world.